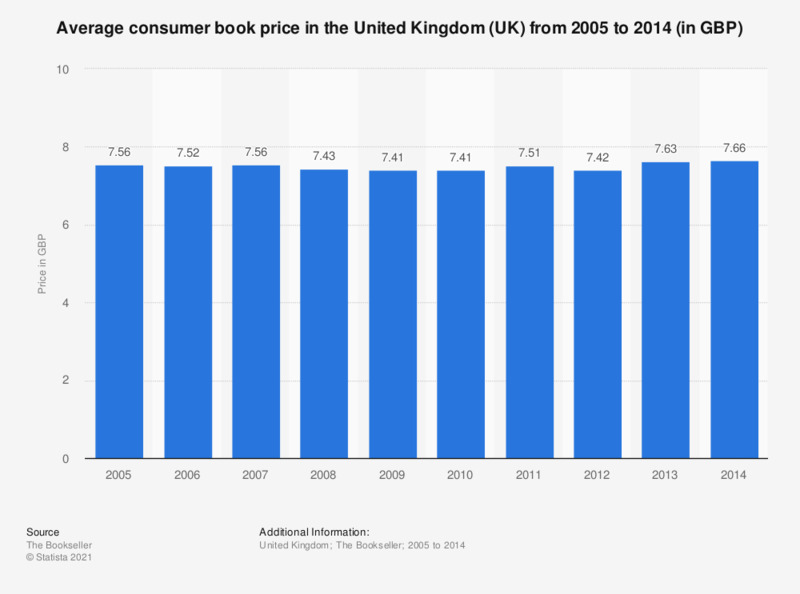 This statistic displays the average consumer book price annually in the United Kingdom (UK) from 2005 to 2014. In 2014, the average price reached 7.66 British pounds. In 2009, the price of books was at its lowest point, 7.41 British pounds.